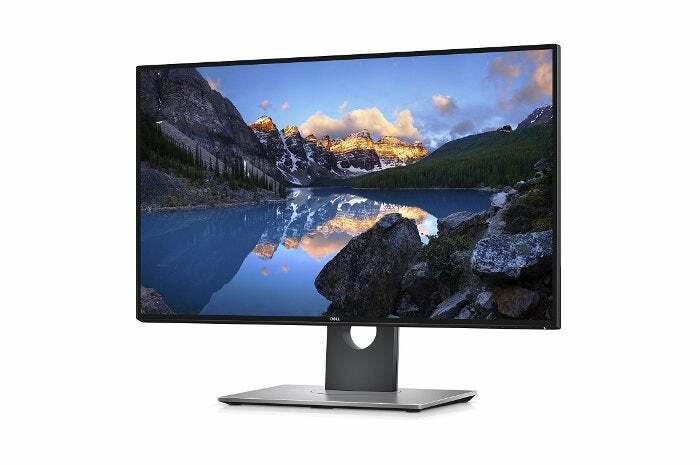 The Dell U2718Q 4K monitor plus a $200 Dell eGift card is $500 on Dell.com today. High-dynamic range displays deliver stunningly bright colors with deep, dark blacks, and the Windows 10 Spring Creators Update dropping any day now will include enhanced HDR support. But HDR is still relatively new to PCs. If you’re looking to upgrade, Dell’s UltraSharp 27-inch U2718Q 4K HDR monitor is on sale for $500 right now, with something extra to sweeten the deal. This monitor retails for $740, so you’re saving $240 off the bat. On top of that, Dell will email you a $200 Dell eGift Card for its online store. It expires 90 days after issue, but that’s more than enough time to grab some extra Alienware gear, or a Dell Visor Windows Mixed Reality headset ($250 on Dell.com) for next to nothing. One HDMI, one DisplayPort, one mini-DisplayPort, and two USB 3.0 ports (including one with charging capability) grace the underside of the UltraSharp U2718Q, though none support FreeSync or G-Sync. This monitor should excel at performing tasks where color and accuracy are vital—or just watching glorious HDR videos.